I am new in GIS. I am trying to use the curves of level (downloaded from this site in SHP format) to use them into Tableau Desktop. The problem is that if I loaded the lines, they are not correctly setted, as shown in this picture from the same file loaded with QGIS. In the archive I downloaded from the site linked above there are also other 3 files, with extension dbf, prj and shx that maybe can be useful to center the dataset. Browse other questions tagged qgis shapefile tableau or ask your own question. How to shift the Map a little bit? 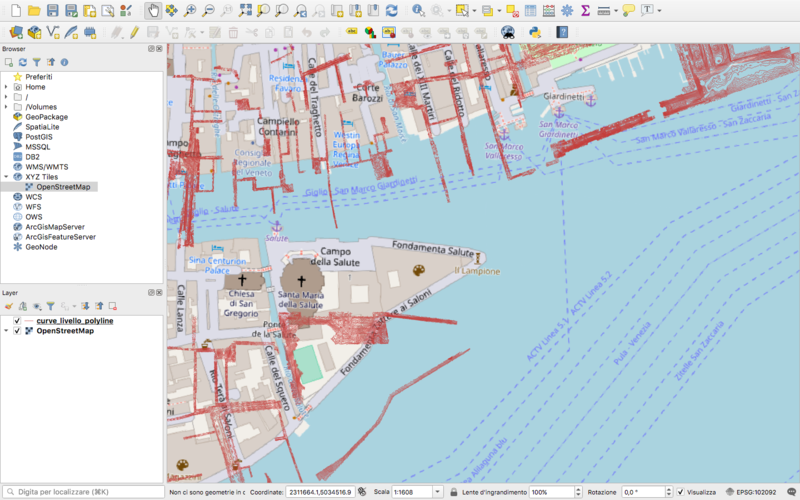 Why a shapefile of a geological data is not displaying the fault lines in QGIS?